In this tutorial, we will learn how to use the GitHub website. Know how to navigate GitHub repositories in a web browser. git installed and configured on your computer. In this workshop you will collaborate with your colleagues using the 14ers-git repo. 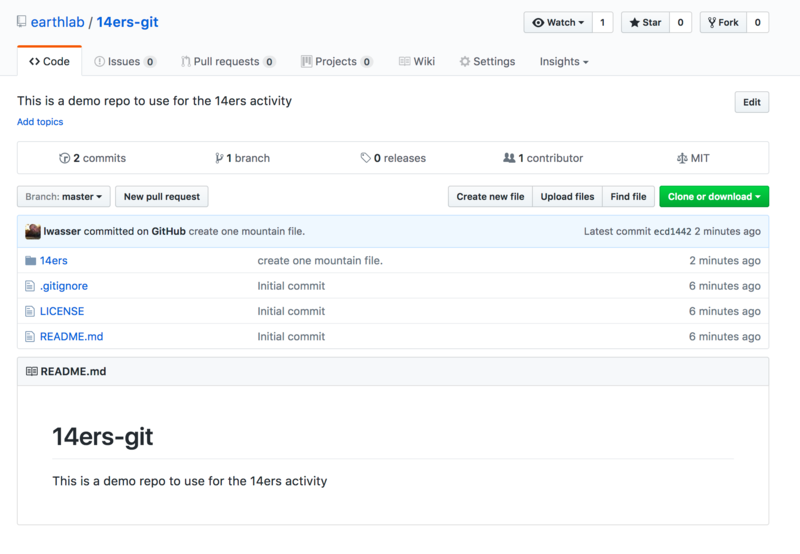 Type “14ers-git” in the github.com search bar to find the repository. 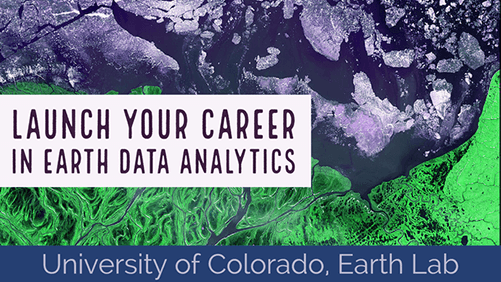 Use the repository URL if you have it: https://github.com/EarthLab/14ers-git. Once you have found the https://github.com/EarthLab/14ers-git repo, explore it. Code: Click here to view structure & contents of the repo. Issues: Submit discussion topics, or problems that you are having with the content in the repo, here. Pull Requests: Submit changes to the repo for review / acceptance. A bit further down the page, you’ll notice a few other links including commits and branch. We learned how to commit changes in the basic git commands lesson. A commit is a snapshot of a past state of a repo. The commit history contains all changes that have been made to that repo.